What a difference a year can make. Having made the decision to go to J6 again we had a whole series of changes, QTH, licence issues, you name it, we had them. First problem was that due a mix up on the villa booking we couldn’t have the villa we had in 2010. But luckily the owner persuaded his neighbour but one, to let us have his cottage instead. And as luck would have it in the end we were given the main house, Light Castle, for our stay. 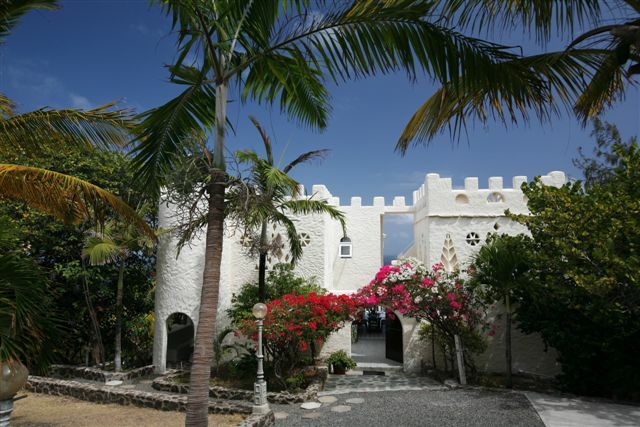 Light Castle was used by the J6DX gang in 2006 and is a classy villa right on the cliffs of the north end of St Lucia and comes complete with maid and gardener! 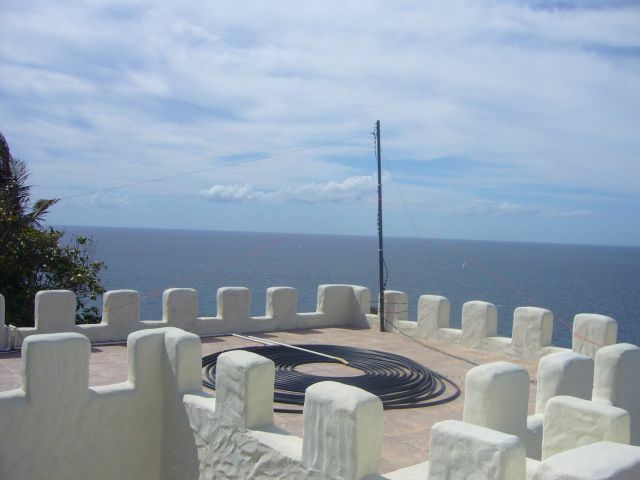 Needless to say any antenna is at least 60m high over the sea with a clear take-off to the north and north east and a pretty good take-off to the west. So pretty good for BERU purposes. And the villa has two patios on the seaward side and a large flat roof too. Plenty of room for some simple antennas. As far as licence issues I hadn’t realised that the renewal of my J6 licence required me to make a completely fresh application! After some confusion it was all sorted out through the good offices of Tot J69MV who also managed to get me the J68PJ call. I was able to get confirmation that I could operate 30m, this being omitted from my previous J6 licence. Just to add a final hurdle, the day before we were due to leave I mowed the lawn and cut a radial. The free end whipped round in the mower and impaled itself in my foot, agony and some blood. I checked my tetanus jabs and they were still valid thank goodness. The following day the surgery dressed the gash and gave me a box of tablets to take. As far as station was concerned I decided to run in the Restricted section again with the K3 and two wire antennas, a 10m vertical doublet and a 30m long doublet. 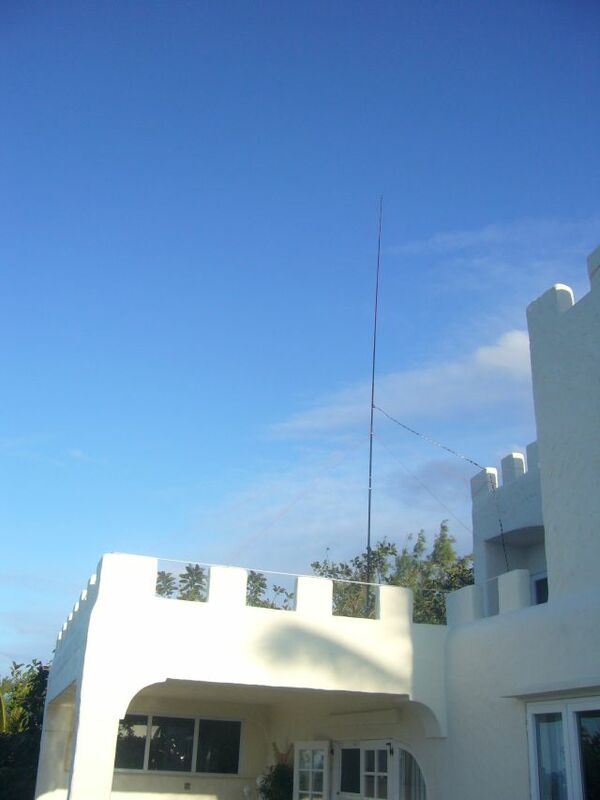 So these antennas were about 70+m high over the sea with a clear view of FM land at 40km away. For logging I used Win-Test on an Asus EeePC. 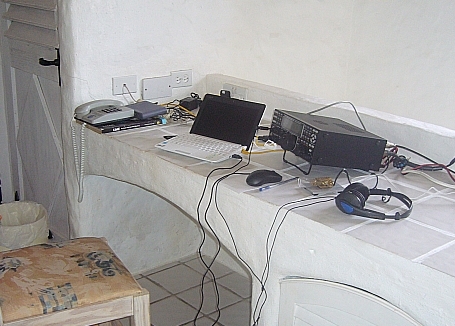 I started on 80m , it being dark in J6 at 10:00Z and worked a few VEs and Carib locals. As soon as the sun got up I went to have a look at 10m for Indian Ocean etc. nil, nothing, nada. The conditions had taken a big nose dive overnight. All the ambitious targets went in the bin. That said the bonuses have to be got on 10 and 15 but despite a lot of hunting I never did find P3J and nary a single G on 10m. However activity from VE was just excellent especially from the east coast and the far west. And the good old north-south path was very solid on both 15 and 10. In the end I suppose I spent rather too much time hunting on 15 and 10 to the detriment of Qs on 20m. Band hopping is an art to be mastered for BERU. After the first hour on 80/40 I moved to 20 to pick up some Gs as the band opened, with a few peeks at 10m where VP8NO was calling CQ with few takers. And then slowly moved to 20/15 hopping and later 15/10 where conditions were good enough for plenty of VEs but no Gs on 10 at all, indeed not so many on 15 come to that. 9J2BO was a pretty good signal on both 15 and 10 but I could not break the G pile up. But I was able to break the pile ups for the CY0 for 3 nice bonuses. Just a few VK and ZL overnight on 20 with a nice double bonus from VK4EMM. 80 and 40 were very low QRN but as usual things tailed of pretty much after 0800 and I finally gave up after a nice final bonus from P29CW, just ready for a short sleep and breakfast. Overall a disappointing BERU from the point of view of conditions but the number of VE stations was excellent – they were very active – thanks everyone. Fewer VUs too they were all getting ready for the VU4 trip. 2012 should see more stable solar conditions so look forward to that.